Whole lamp is made of 316 / 304 Stainless Steel,Weight = 1.4Kg,high level quality LED underwater light. 304/316 SS U-shape support frame,lamp lighting beam angle can be adjustbale. 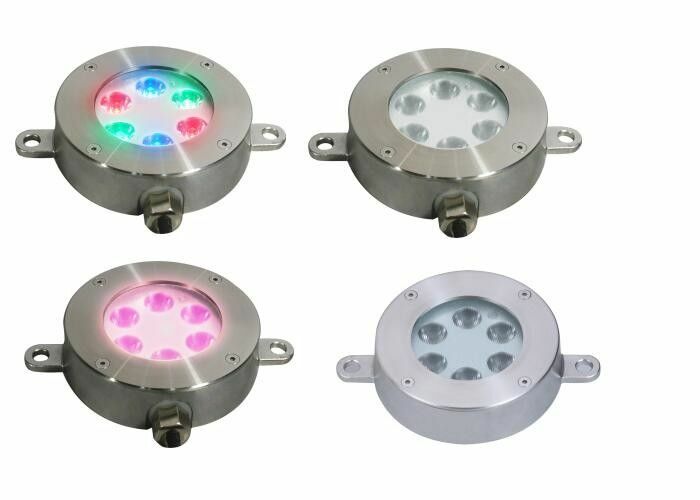 High power CREE & Osram LED,W/WW/R/G/B/Y/RGB 3in1 color optional,meet diversified lighting color change. H07RN-F trong power cable length can be customzied. Professional 10 years manufacturing and exporting experience,keep good quality control and good after-sales service.